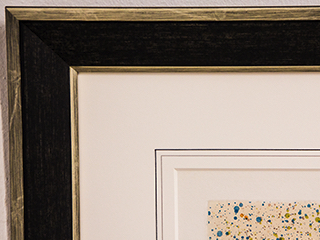 Choosing the right mat and frame to complement your artwork can be overwhelming. 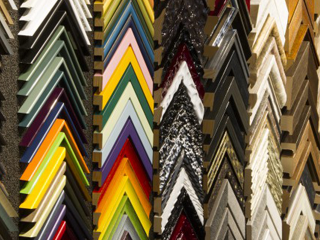 With a selection of over 4000 mouldings to choose from, in a range of styles, finishes and price points, we have what you are looking for and will make the process an easy one. Owners and siblings, Edward Nader and Margaret Love, provide personal consultations with every customer to be certain the best possible outcome is achieved. According to the results of a secret shopper, our prices are more often less expensive than the big box stores, even after their coupons and discounts. Nader’s Gallery offers a level of expertise and personal attention you will not find anywhere else. 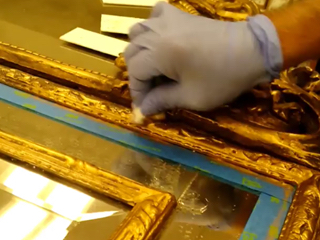 When conservation framing techniques are necessary, Nader’s Gallery adheres to the guidelines set forth by the Library of Congress. 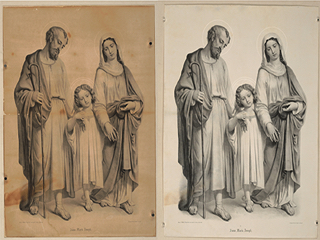 These techniques preserve your artwork from damaging elements using acid-free and light filtering materials. 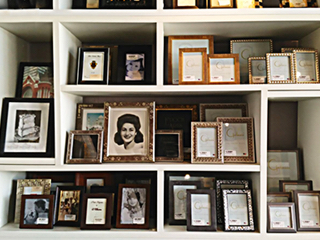 With over eighty-five years of framing experience, Nader’s Gallery has the skill to protect and preserve virtually all types of art, including paper and canvas art, textiles and other collectibles. Are you in a hurry, or have a super limited budget? Ready-Made frames are an affordable and sophisticated solution with a quick turn around time. On most days we can assemble your piece while you wait. 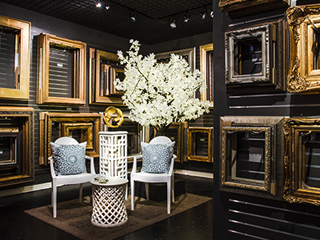 Nader’s Gallery has the largest selection of gallery frames in the region, with styles ranging from simple to ornate, and in a variety of finishes. Using the techniques of old world masters, the skilled artists at Nader’s Gallery can add elegance and sophistication to your artwork with a hand-painted mat. Traditional gauche panel french mats, hand ruled french lines and hand painted bevels create a perfect custom presentation for your paper artwork. Just like everything else we own, our artwork requires maintenance and often repairs. Nader’s provides restoration services for canvas paintings, both oil and acrylic, frames and works on paper. Whether your piece is a family heirloom or of museum quality, our goal at Nader’s Gallery is to restore it to its original condition. All restoration work is supervised by Edward Nader, Jr., with over thirty-two years of certification. 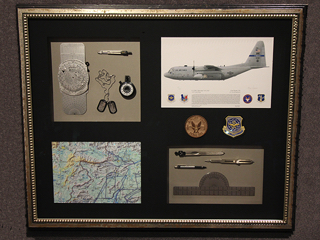 Housing your favorite objects in shadow boxes and display cases protects your treasures and allows you to exhibit them as art. Offering both wall hung and pedestal boxes, we will mount your treasured object inside the case upon linens, antique satins, suede or acrylic fields. Ultraviolet filtering for conservation and preservation is also an option. 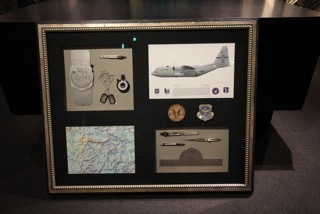 We’ve created custom shadow boxes and display cases for everything from a Stradivarius violin to a Louisiana gulf oyster shell to a sports jersey.